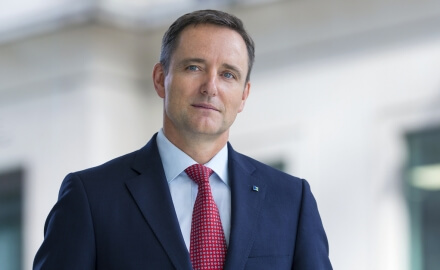 Mark Wilson (pictured) has stepped down from his role as global chief executive of global British insurer Aviva as the company said it was time for new leadership to take Aviva to the next phase of its development. Wilson will be replaced temporarily by chairman Adrian Montague until a permanent successor is appointed. Aviva said the process of assessing internal and external candidates will take four months before a replacement will be announced. Wilson, who was brought into Aviva in January 2013 to deliver a company turnaround, will remain with the insurer until April of next year and will assist with the transition. He joined Aviva after spells at Axa and AIA in Hong Kong. The move follows Wilson’s decision in March to join the board of rival asset manager BlackRock — a move which reportedly angered some shareholders. In a statement, Wilson said Aviva was “in poor health” when he joined the company but that today it is “very different”. Senior member of Swiss Re Corporate Solutions North Asia team departs. David Cabral started as chief operating officer at Hong Kong-based Peak Re on October 8. Former senior QBE management member to help the speciality Lloyd's member grow in Asia.